University of Ibadan, UI, released an important update to all 2013/2014 and beyond postgraduate students as regards Medical Forms submission. 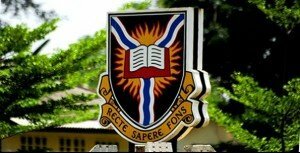 Authorities of the University of Ibadan (UI) has fixed the deadline for the submission of completed Medical Forms by the 2013/2014 academic session postgraduate students and beyond. Concerned postgraduate students are implored to submit their completed Medical forms to the Postgraduate School Records Office (Room A13) on or before June 14, 2015.MSG Team.